It happens like clockwork: I write a random, Westport-related post. Someone responds with an even more interesting back story. Within minutes of this morning’s look back at our town’s former smoking culture, alert “06880” reader Adam Stolpen clued me in to a May 16, 1987 New York Times piece. Headlined “A Tough Smoking Plan is Debated in Westport,” it said a proposed law would require restaurant owners to “erect walls, set up partitions or install separate ventilating systems to segregate smokers from non-smokers.” It would also limit cigarette smoking in the workplace to designated areas. Calling Westport — with about 100 restaurants — a “dining center of Fairfield County and the state,” the Times noted that many restaurateurs opposed the ban. Chez Pierre was a famed French restaurant on Main Street. Today it’s Tavern on Main. The Times noted that some customers were also upset. In fact, what followed was a typical Westport controversy. Following intense and contentious discussion, the RTM voted the proposal down. After which Stolpen received death threats from an overwrought restaurant owner, and his mailbox was blown up. “I attributed it to nicotine withdrawal and cherry bombs,” Stolpen says 27 years later. This entry was posted in Environment, Looking back, People, Restaurants and tagged Adam Stolpen, Brendan Donohoe, Chez Pierre, smoking, smoking ban, Westport RTM. Bookmark the permalink. Walk any NYC street, in any weather, & one realizes smoking is a long way from dead. 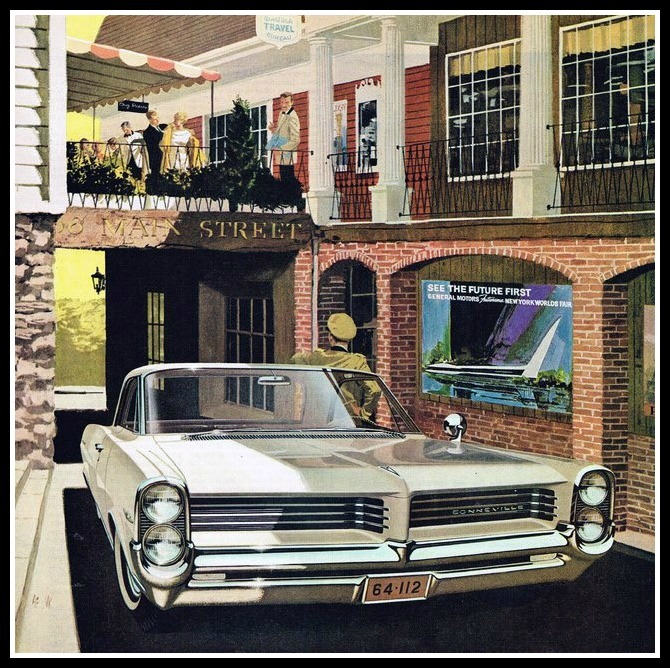 I love the artist’s rendering with the Pontiac. Who did that? Not sure. I think it was a magazine ad. I will always remember my shock when I moved here in 1989 from NYC and I asked for Non-Smoking table in a restaurant and the server simply removed the ashtray from my table! What is your thought on e-cigarettes? It’s being debated across the USA. I recently saw a gentleman partaking it while riding on Metro North! About a year after the restaurant ban went into effect in CT, I asked one bartender how it has affected his business. He replied that after about a month of weak traffic, everyone adjusted and business was almost back to normal, especially in the restaurant. Many customers were thankful for the clean air. He noted that the biggest change was one less drink at the bar at closing time – people would head outside for one last smoke, and then not come back. If I remember correctly, many restaurants installed State required and expensive air filtration systems to permit smoking in their restaurants, only to have smoking banned a few months later…duh? Fred’s right…the Pontiac IS fabulous! 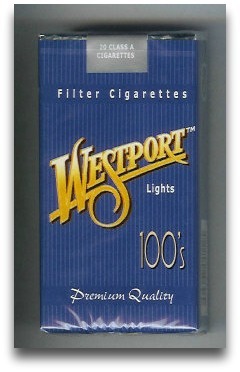 Love the “Westport” pack of cigarettes. I second for the story of Brendan and third for the Pontiac!